Spitfire, in a heartbreaking echo of her mother's fate, was gunned down by a trophy hunter just outside of Yellowstone National Park. Also known as the Lamar Canyon Pack's 926F, Spitfire was adored by wildlife watchers across the planet. She was killed for sport. Spitfire should be the last wolf to die as a trophy. In her memory and honor, we fight. Wyoming Wildlife Advocates is taking a bold and unequivocal stand against the killing of wolves in the Greater Yellowstone Ecosystem. Not only is trophy hunting ethically unacceptable, there is zero biological reason to allow it. Wolves are worth more alive than dead. With your contribution to the Spitfire Fund, we will work to expose and end the unnecessary violence against wolves in Wyoming. In this era, the majority of people oppose trophy hunting. Act now, and help us protect these incredible and important animals. 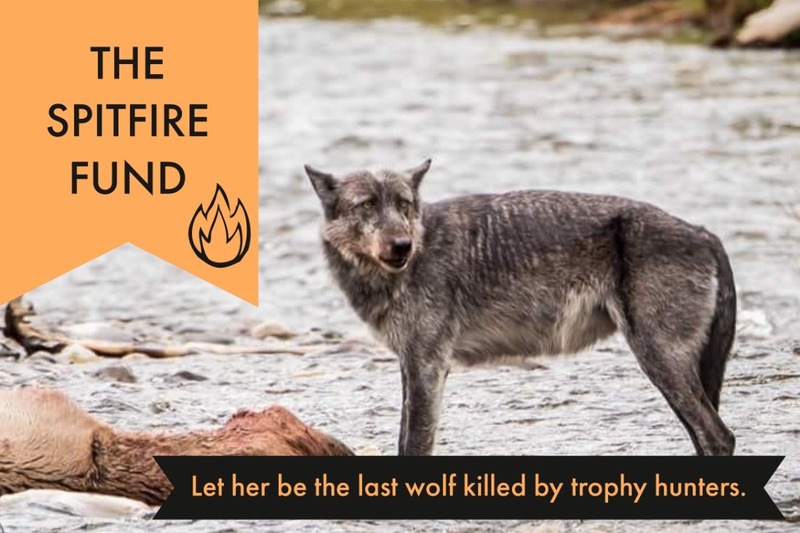 Let Spitfire be the last wolf killed by trophy hunters. Wyoming Wildlife Advocates worked for years to protect GYE grizzly bears from trophy hunting in the fall of 2018. With experience informing, educating and empowering community members, the nonprofit is turning their efforts towards protecting other predators. All contributions to The Spitfire Fund will be utilized for wolf-focused programming and efforts to end trophy hunting. Please visit https://wyomingwildlifeadvocates.org/spitfire-fund-the-plan/ for more information.